The shooting occurred at a house in Pike County, around 75 miles east of Cincinnati. 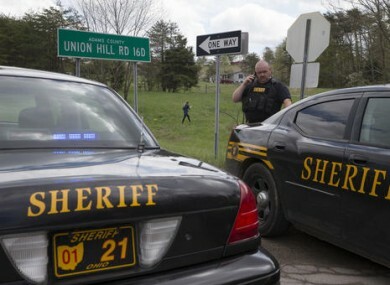 AT LEAST EIGHT people were found dead today in four locations in rural Ohio, authorities said. Seven of them, including two children, were slain in “execution-style killings” at three homes along a rural road, but no arrests were made and it’s unclear whether the killer or killers were among the dead, authorities added. Details on the death of the eighth person weren’t immediately available, but the body was found in a fourth location, said Jill Del Greco, spokeswoman with the Bureau of Criminal Investigation. Attorney General Mike DeWine planned to provide an update in Pike County later today, she said. A dozen Bureau of Criminal Investigation agents were called this morning to Pike County, an economically struggling area in the Appalachian region some 75 miles east of Cincinnati. TV reports from the scene said a staging area has been set up with ambulances and fire personnel. Email “At least eight dead in "execution-style" killings”. Feedback on “At least eight dead in "execution-style" killings”.